Mensusa https://www.mensusa.com/articles/mens-black-velvet-blazer-mature-sense-of-dressing.html Mens Black Velvet Blazer- Classy Apparels That Uphold Your Mature Sense Of Dressing The mens black velvet blazer features a ravishing and elegant appearance and it is highly comfortable apparel for the winter months. The fashionable men consider these blazers as a must-have collection for their wardrobe. In the instances of the quest for fashionable, classy and elegant apparels, the mens black velvet blazer will be the options that will get the preferences of the fashionable men. The luxurious look of the velvet, combining with the elegance of the black, makes these blazers a magical choice of apparels. 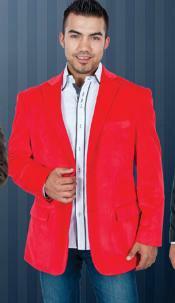 Appearing to the public in these blazers, it stands assured that your presence will be glorious and classy. Hence, the fashionable men consider these blazers a must-have collection for their closet. 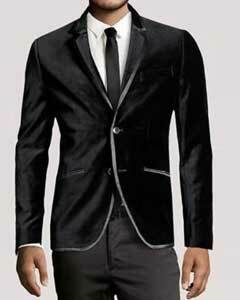 The mens black velvet blazer is absolutely ravishing and gracious choice of apparel for the promenade occasions. The promenade occasions demand that you make a fashionable and elegant appearance. The velvet blazers in black shade will be the perfect choice of apparel to accomplish the objective. Black represents universality and it appears extremely appealing to the eyes. The velvet fabric always looks classy and rich. Hence, the combination will enable the wearer to appear impressive and impacting in the promenade occasions. These blazers uphold the fashion pursuits of the wearer and display his classy and mature sense of dressing. The velvet fabric holds the capacity to keep the body warm and hence, it will obviously be a perfect choice for the winters. You will often hear the fashion experts advocating that you should choose the fabric in a style that it can provide you the necessary comfort for the seasonal aspect. 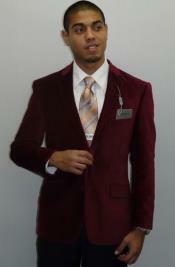 As such, opting for the velvet blazers will be definitely a wise move. The combination of the high-fashion statement as in the black shades with the capacity of the velvet fabric to offer the adequate comfort from the winters, make these apparels the most-coveted choice for the promenade occasions and special events hosted during the winter months. Choosing the black velvet blazer, you position yourself at an advantageous standing. Choosing the perfect combination between the shades of the blazers, shirts, and the trousers is a tough deal and the slightest of the mismatch in these regards can ruin your appearance. Black can be paired with all other shades and hence when you pick the black blazers, you will get the maximum options for the shirts, trousers and the fashion accessories that you will be able to pair with these blazers. Thus, choosing the perfectly matching apparels and accessories becomes an easier task to accomplish. www.mensusa.com supports the fashion pursuits of men by offering the most ravishing collection on apparels and accessories at the most reasonable rates. The gallant customer services that the store offer, delights the buyers, buying the fashion products from this store.